Mother's Day Gift! 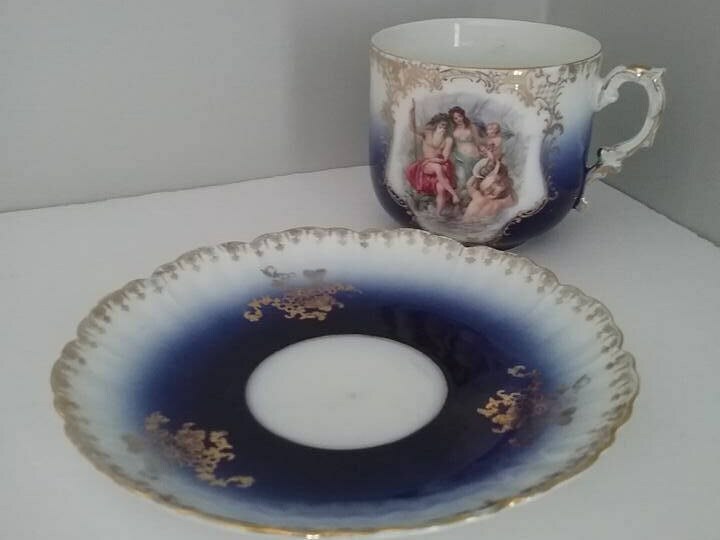 !https://www.etsy.com/ca/shop/SteampunkeryCo?ref=seller-platform-mcnav Royal Bavarian China Markings, cobalt blue large cup and saucer displaying a unique Neptune scene. 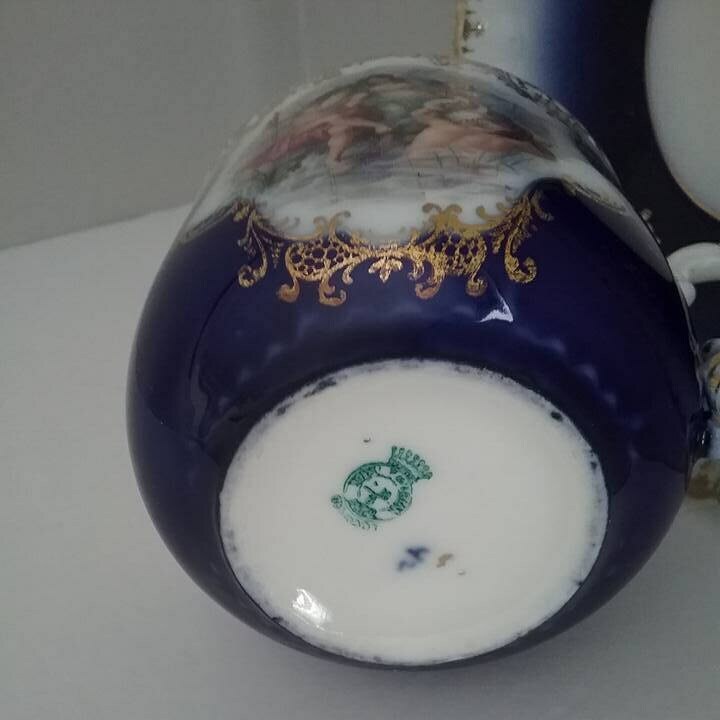 Made in Germany the cup has a 4" opening and a 7" diameter plate. 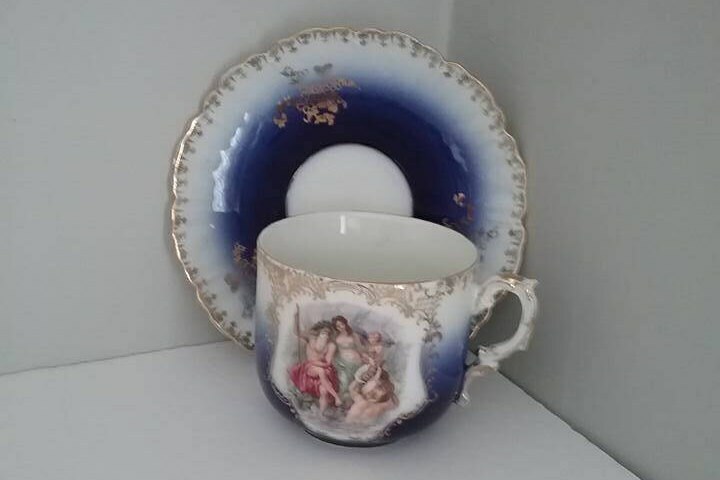 Baroque style. 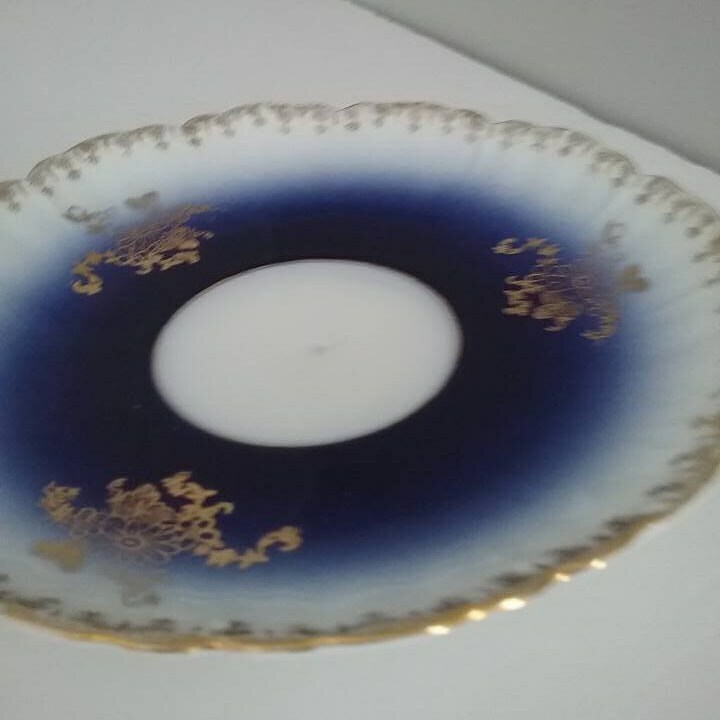 A stunning piece in color, shape and design. 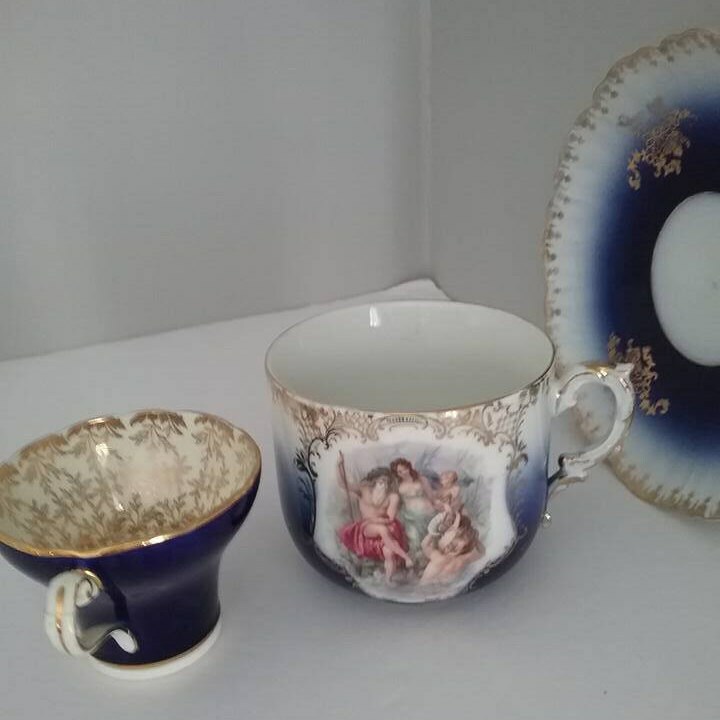 Cobalt and powder blue with gold gilt edging on cup and handle, and scalloped edging on saucer. 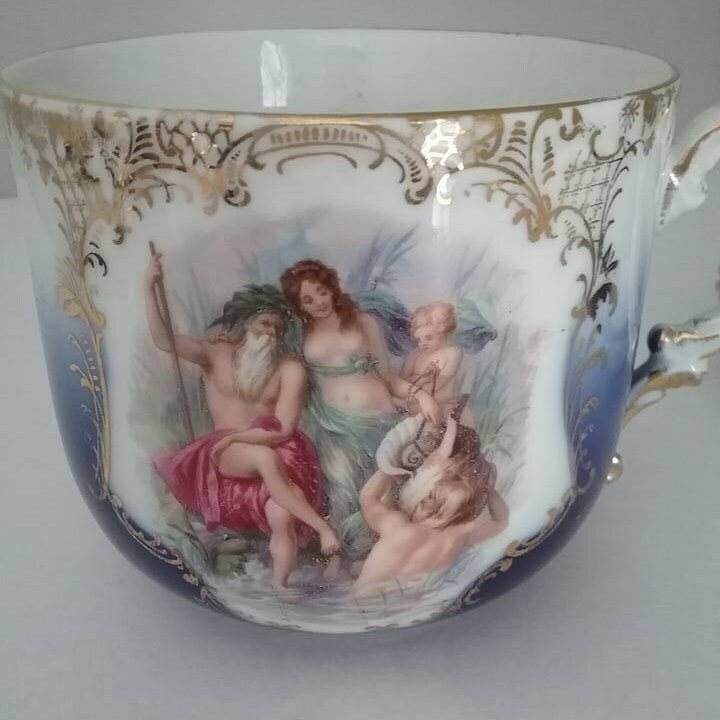 Neptune scene is rare. 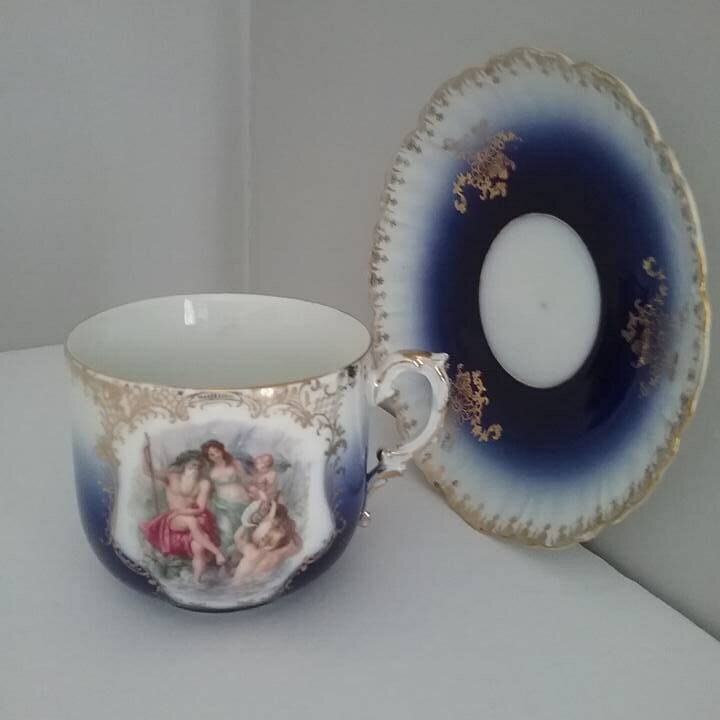 Difficult to locate this precise cup and saucer, so it is either rare, or not mass produced.....this is reflected in price as is the excellent condition.